Step into the enchanting English garden setting and follow the meandering brick pathway to the front door of this gorgeous coastal craftsman home. The welcoming home is over 2300 sq ft, delivering all the charm you expect in your beach getaway, with a bonus designer touch. A River rock fireplace is the heart of the warm and open living floor plan, perfect for by the sea living and effortless for entertaining with friends and family. The 2011 second story addition provided over 900 sq ft of living to the original 1940s cottage. 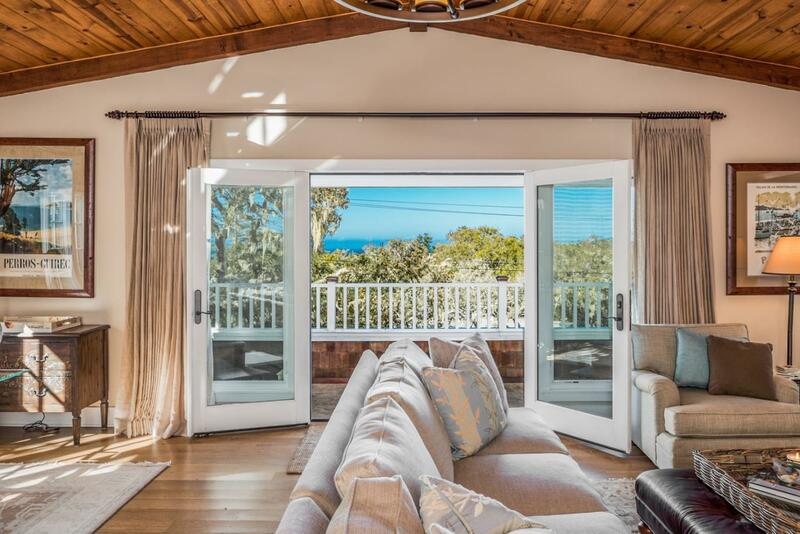 The new great room has great volume and opens out to a covered deck; the perfect vantage to take in panoramas of the blue ocean horizon and watch magnificent sunsets. The amazing owners suite is large and has a spa-like bathroom, even a walk-in closet. Entertaining is effortless at the cottage; open the french doors of the dining room and take in the gardens, or enjoy outdoor gatherings on the sun-filled private patio. Your perfect escape awaits!